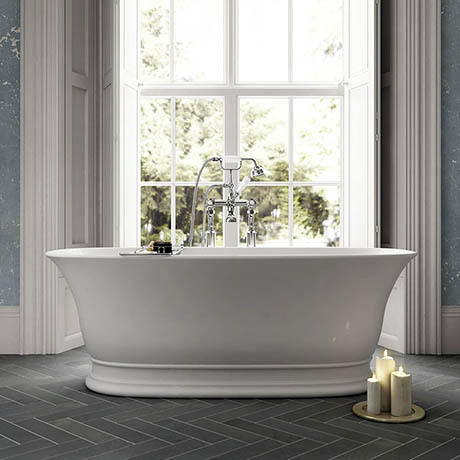 A luxury elegant double ended freestanding bath from period bathroom specialists Old London, ideal for creating a period look in your bathroom. Manufactured from Cian® solid surface material for better durability and heat-retention. The Farringdon bath tub comes with integrated built in overflow and waste. Size: (W)740 x (D)555 x (L)1555mm approx. Please note: Taps and standpipes not included.